According to recent reports the average salary of owner operator pay is much more than the salary of OTR truckers. 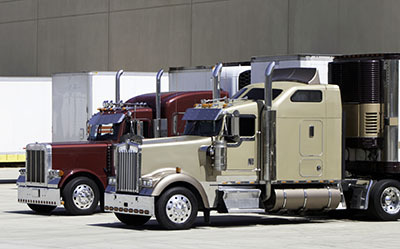 The average owner operator truck driver earns $164,000 according to Indeed.com. Meanwhile the average CDL truck driver working as a company driver earns a net of $35,000 – $50,000 annually and this is about an average of $42,500. 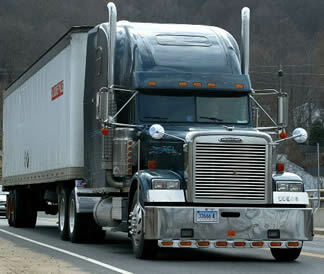 According to the Bureau of Labor Statistics the average pay for tractor-trailer truck drivers was $40,260. This will still vary according to the driver’s gross as well as actual expenses. determine the yearly incomes. The number of customers that the truckers have contracts with will raise their gross pay. In order to lessen the expenses and have higher earnings on net incomes then they need to have a maximum freight weights that is set for the shipments. Working as an independent truck will benefit you to have a global positioning system wherein your pickups and deliveries can be rerouted properly while saving on the gas expenses. Owner-operators can indeed earn more however it is important to trace all the expenses and be keen on the important details of your operations so that your expected earnings can be achieved and even go beyond it. • Have an understanding and acceptance that the payment which you will receive from the people whom you work for will just be for the labor. This means that working more will lead you to earn more. • Be able to build a long-duration relationship. It is important to have a loyal customer that is constant rather than transferring from carrier to carrier because this will just cost you a lot of money. Factors that will affect your operation will include the costs, rates, customers, and safety records. Be sure to have an idea of what you will be getting yourself into. • Understand the economy of the business like being able to look for carriers serving growth industries and having long-duration relationships with the customers. • Make your anticipations realistic with regards to the revenues and income. Keep in mind to live according to your means just like selecting your truck preference. • Keep in mind that there is a lot of cost in maintaining a semi tractor trailer with the average maintenance per year around $14,000. 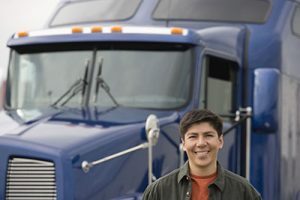 An owner operator refers to a truck driver who owns and operates a commercial vehicle for which is being used as his business and occupation. It pertains to an individual who both owns as well as operates the business. These operators hold the responsibility of the transportation of goods across the highways and urban environments using the vehicle or cargo that is appropriate for the road. In addition they maintain effective communication with the loaders to have a clear understanding regarding the time frames of the delivery of goods. 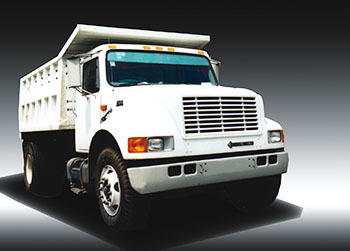 Moreover, the operators make sure that they maintain focus on both safety and route efficiency. One vital factor to determine one’s success or failure as an owner-operator is the relationship with the customer or carrier. There are also times that the owner-operators themselves are their own enemy as they destabilize their business like having a budget that is based according to the best of times rather than year-long averages. This page is dedicated to showing you how to get a CDL, or commercial drivers license. Since the requirements for a CDL differ for each state we’ve included a comprehensive list. Click on the name of your state below to get further information about the steps required to get your license. Before you apply to work as a truck driver, you should first know how to get a CDL or a Commercial Driver’s License. Without this license, you will not be employed by any trucking company and you will not be allowed to drive a truck in the first place. First, you need to apply for a CDL permit which is used by students of truck driving while they are learning how to drive a truck. But before you get that, you have to pass a test first which would cover basic aspects of the truck in order to know if you have the basic knowledge needed to operate a truck. When you have this permit, you can drive a truck around the state as long as you have someone with you who has a Commercial Driver’s License with him. The permit is valid for 6 months which is just about how much time you need to finish a truck driving course. A CDL permit is only issued to those who are at least 18 years of age and a commercial driver’s license is issued if you are at least 21 years of age. After you graduate from a truck driving school, you can now apply for a CDL in your state. For you to be able to do this, you need to pass a physical exam by the Department of Transportation. They are tests designed to know if you have the physical capacity to handle the tasks required in a truck driver such as lifting, pulling and doing vehicle inspections. There are also some required medical exams in some states although this is not the norm. If you pass the said physical exam, you can now take the written test and schedule your road test. This is the final commercial driver’s license requirements are composed of two parts. First, you need to take the written tests which are designed to correspond with the type of vehicle that you will be driving although there is a general knowledge test which is required for all such types. The tests are as follows and which can be conducted on different days: General Knowledge, Passenger Transport, School Bus, Air Brakes, Combination Vehicles, Hazardous Materials, Tanker Test, and the Doubles or Triples Test. They are special endorsements which you can choose to take at the exam too. 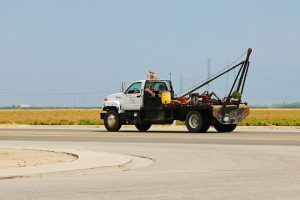 After passing the written test, you would have to undergo the skills test which measures you capability to safely operate the truck before, during, and after driving. The skills test is composed of three parts which cover pre-trip vehicle inspection, basic vehicle control, and on-road driving. You will be tested on different skills such as maneuvering the truck on heavy traffic as well as checking the safety and condition of your truck. Some of the tests will not be done on one single day and you may have to come back for another day for the other parts of the test.